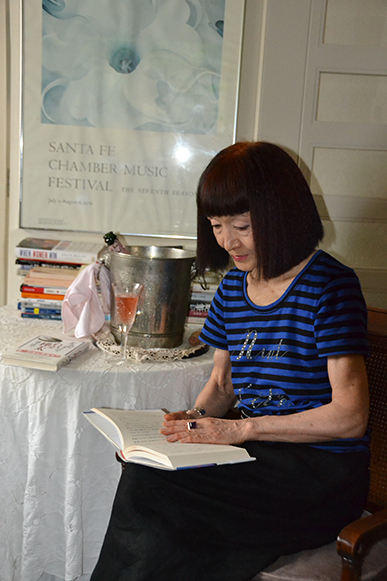 Kyoko “Michi” Michishita ’67 knows the power of words. For over four decades, Michi has used her talents for writing and translation to share feminism, pacifism, art, and history across borders—introducing audiences to icons of feminism and art such as Gloria Steinem and Georgia O’Keefe and ensuring events of the past are never forgotten. Michi’s crusade to share the spirit and ideals of feminism in Japan began in 1969 after having lived several years in the U.S. first as a high school student, then as an undergraduate journalism student at UW–Madison, and finally as a guide at the United Nations headquarters in New York City. While serving as arts program specialist at the Tokyo American Center, part of USIS (the United States Information Service) a position she held until 1997, she worked to introduce contemporary American culture, including art, music, film, theater, literature and feminism to Japan. 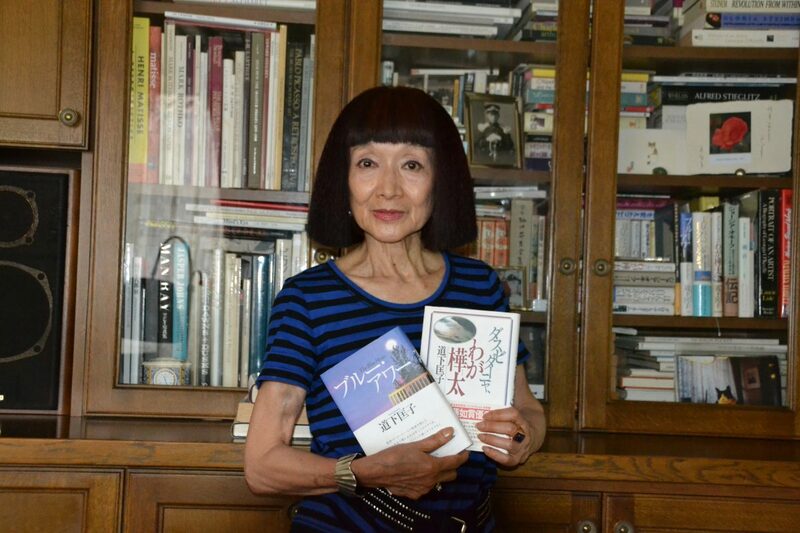 Kyoko “Michi” Michishita, author and translator, shared the spirit of feminism with Japan through her work. Her first book, a translation of Gene Marine’s A Male Guide to Women’s Liberation, was published in November 1975. Few other feminist works had been published in Japan at the time, and many of them, according to Michi, were too narrow in focus to allow readers to understand the broad, overarching ideas of feminism. The book propelled Michi into the spotlight. The book and subsequent media attention led to interviews and lectures, as well as increased interest in the topic of feminism in Japan. Michi continued to speak on feminism while translating and publishing articles. She studied notable figures Gloria Steinem and Georgia O’Keefe and was profoundly moved by their messages and influence. She became acquainted with Steinem in 1978 when interviewing her for a Japanese women’s magazine. Michi’s article introduced Steinem to Japan, who was not a prominent figure in the country at that time. Michi saw Steinem as someone whose message and personality could resonate with audiences and further spread the core feminist ideals she had been hoping would take root in Japan. Gloria Steinem (left) with Michi. Michi has translated many of Steinem’s significant works. Michi and Steinem developed a strong friendship, with Michi translating her books, Outrageous Acts and Everyday Rebellion and Revolution from Within: A Book of Self-Esteem. She is currently working on the translation of Steinem’s latest book, My Life on the Road. 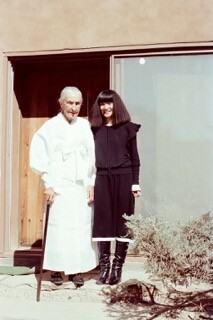 In 1980, Michi also formed a strong bond with renowned artist Georgia O’Keefe and introduced her works to Japan. Michi was taken by O’Keefe’s incredible artistic accomplishment as a pioneer of American modernism, precise use of language, strong will, and exquisite elegance—many of the same qualities that she admired in Steinem. Georgia O’Keefe (left) with Michi. Michi remained friends with O’Keefe through the end of her life and continues to celebrate her impact on the world. “Introducing Gloria Steinem and Georgia O’Keefe, including their ideas, work, and lifestyles, which reflect the superb quality of their work and vice versa, has been such a great inspiration to me,” Michi said. Michi wrote several pieces on O’Keefe, a native of Sun Prairie, Wisconsin, for publications and also translated the books about her—Portrait of an Artist: A Biography of Georgia O’Keeffe by Laurie Lisle and Georgia O’Keefe by Charles Eldridge—making the artist and icon more accessible to the Japanese. Michi’s friendship with O’Keefe’s endured through the artist’s final days. She was one of the few permitted to see O’Keefe during her final years. 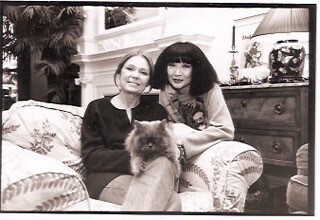 Michi remains close friends with Steinem today. Many of the events Michi has witnessed throughout her life have influenced her writings and her views on social and political issues. Michi was born in 1942 in Kholmsk, Sakhalin, known as “Maoka” while it was under Japanese control from 1905 to 1945. After the territory was retaken by Russia following World War II, Michi and her family fled to Hokkaido, Japan. From 1960–1961, she lived in Oshkosh, Wisconsin, as an American Field Service high school exchange. Following the exchange, Michi enrolled in the Fuji Women’s College at Sapporo, where she majored in English literature. She returned to Wisconsin in 1964 after receiving a scholarship from the University of Wisconsin. While at UW–Madison, Michi majored in journalism and distinguished herself amongst fellow students as a staff member at the Daily Cardinal, a member of the Coranto Journalism Sorority, and through introducing fellow students and Wisconsinites to Japanese culture. Michi recalled that courses she took at UW–Madison helped her gain the ability to think critically about issues. “In legendary Professor Wilmott Ragsdale’s Literary Aspect of Journalism class, particularly, I learned the basics of good writing: to get to the core of an issue, be terse and the importance of the emotional truth,” she said. “The muckraking movement had a great influence on me,” Michi said. “It was Professor Kauffman who told me to be sure to write about my family’s wartime experience in Sakhalin someday, since it would be important history,” Michi said. Twenty-nine years later, she finally wrote the book, A Farewell to Sakhalin in 1995. She translated it into English that same year and hopes to find a publisher in the U.S.
As an accomplished writer, Michi has also written pieces based on her own life. Her first book, Sensuous Life, was a collection of essays on feminism, published in 1980. Her second, Farewell to Sakhalin, draws from her family’s war experience following World War II. The book serves as a non-fiction personal and historical account on the Russian military offensive on Sakhalin Island in August 1945, which directly led to her family’s relocation to Hokkaido. The piece received the Rennyo Non-fiction Literary Award. Michi has also written a book based in part on her experiences in the U.S. during the 1960s, a time of social and cultural revitalization. The novel, The Blue Hour, was published in 2008.